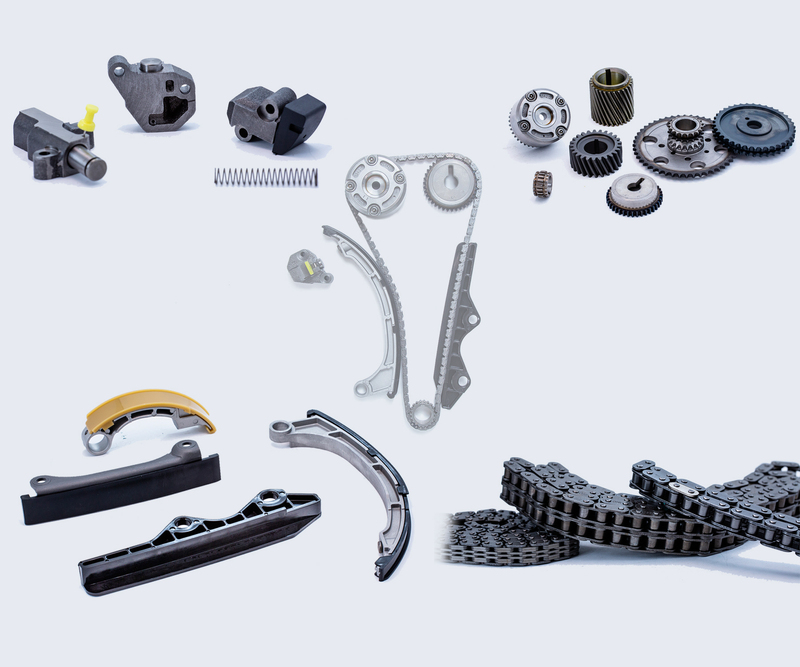 The kits, which are specially adapted to each engine, contain all the relevant replacement parts such as chain, tensioner, guides, sprockets and gaskets. One of the most frequent damage symptoms in the chain drive is elongation of the timing chain: the tooth flanks no longer engage properly in the chain, resulting in wear to the flanks. Simple chain replacement is only a short-term remedy. The solution? ARCO timing chain kits. P.S. We supply timing kits, timing chain kits, timing gear kits and loose components.